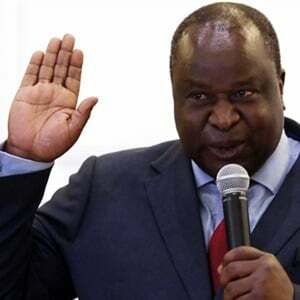 Finance Minister Tito Mboweni's debut National budget, will be "keenly watched", and ratings agencies will be assessing the state of SA's finances, an economist said. Investec Chief Economist Annabel Bishop shared with Fin24 views on what ratings agencies may consider in the National Budget which will be tabled in Parliament by the finance minister on February 20. 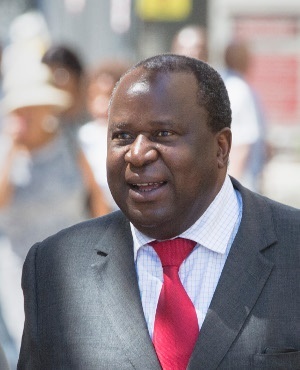 The medium-term budget policy statement, delivered by Mboweni in October 2018, deviated from the National Budget. The fiscal deficit projections had worsened in the 2018 mini budget, Bishop said. "[At the time] gross debt was now projected to stabilise at 59.6% in 2024/25, versus a projected stabilisation at 56.2% of GDP in 2022/23 in the February 2018 Budget. "Higher projections could signal to ratings agencies we are battling to manage our debt," Bishop said. Ratings agency Moody's has SA's rating on the last rung of investment grade at Baa3 with a stable outlook. "Further deterioration in debt projections as a percentage of GDP, would raise the spectre of a downgrade to the rating outlook to negative and could likely cause rand weakness," Bishop explained. MMI Investments economist Sanisha Packirisamy pointed out that there is a risk of SA's outlook being downgraded from stable to negative. The rating is more likely than not to remain unchanged, she added. "The longer-term preservation of our investment grade status by Moody's will however depend on the country's progress on economic and regulatory reforms, its commitment to fiscal consolidation over the medium term and an avoidance of additional guarantees to ailing state-owned enterprises," Packirisamy explained. "If the fiscal or economic reality falls significantly short of current forecasts, the risk of a downgrade would increase materially," she warned. FNB Economist Jarred Sullivan noted that the 2018 mini budget reflected "significant fiscal slippage", with an increased possibility of a downgrade by Moody's. "If the status quo remains, so does the possibility of a downgrade. Some tough decisions will need to be made in the upcoming budget, although this may prove to be difficult in an election year," he explained. Sullivan also warned that if measures to consolidate the fiscus are not implemented, the possibility of the country heading to the IMF for a bailout would increase. Old Mutual Investment Group Chief Economist Johann Els believes this will be a difficult budget. "SA’s fiscal situation still in a tight spot as growth remains weak," he said. As it is also an election year, there will be little room for adjustments in terms of raising taxes and cutting expenditure, he explained. The debt ratio will only really stabilise to sustainable levels, or start a slow decline, once growth picks up to higher, sustainable levels, he said.